Hole In One International Pays Another Winner! 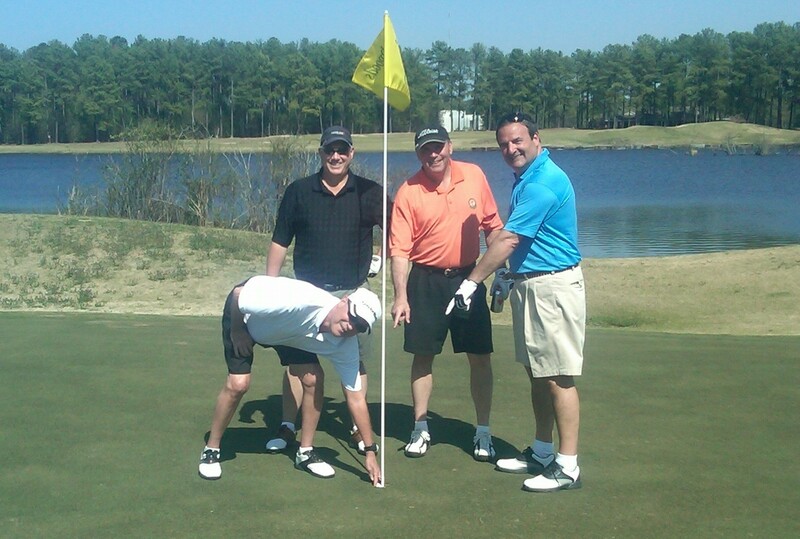 Columbia, SC – Wondering what it feels like to make a hole in one? Just ask Rick Ross, who recently aced the 16th hole at Northwoods Golf Club. Ross was undoubtedly the “hero of the day” at the National Multiple Sclerosis Society Golf Tournament on March 18th when his 8 iron sent the golf ball flying 144 yards, landing him an ace. Believe it or not, there is something better than the bragging rights of making a hole in one – and that’s receiving a prize for it! Thankfully, the par 3, 16th hole was insured, which meant a free $500 Visa Gift Card for Ross, paid for by Hole In One International. While nobody managed to ace the $10,000 prize that was designated on hole 11, every player in the outing was still fortunate enough to receive an extra shot at each of the other remaining par 3 holes on the course for an opportunity to receive one of Hole In One International’s auxiliary prizes, such as the $500 VISA Gift Card, Nike Golf Equipment and a BOSE Wave Music System. Want to give your golf tournament participants the chance to win amazing prizes? It only takes a few minutes to set up a hole in one event at your next golf tournament.Give us a call at 800-827-2249 or contact us for a free, no obligation quote! Home » Blog » Hole In One International Pays Another Winner!